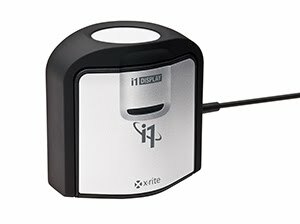 The ColorMunki Display is nothing like the "ColorMunki"
The i1Pro instrument is a well-known spectrophotometer, and can be used to make printer profiles as well as monitor profiles. Let's try not to talk about the "i1 Pro" when we really mean the i1 Display Pro. 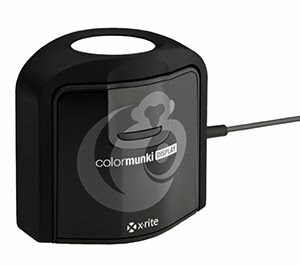 Also, the ColorMunki display is an entirely different device from what most people refer to as a ColorMunki device - which is a low-end spectrophotometer for calibrating displays and printers. With the release of Apple's new OS X Lion operating system (10.7), there is a new twist that affects those who use ICC profiles. If you have trouble finding your ICC profiles, it is because the users' Library folder is hidden in the new OS. On the Mac, most ICC profiles are stored in ColorSync/Profiles folders, either in the username/Library/ColorSync/profiles, or the HD/Library/ColorSync/Profiles folders. Any software that relies on being able to access and write to the user's folder is going to have trouble with Lion. For example, several monitor calibration applications are able to save any monitor profile they make, but then will not accurately reflect the new profile as being in place as the system profile. Most of these vendors are scrambling to get a new version of their software out to take care of this situation. In the meantime, you can generally get into the settings area of your app and tell it to save your profiles elsewhere - in the HD/Library... location for example. To access the user's Profiles folders directly under Lion, hold down the alt/option button on the keyboard while you navigate to Go in the main Finder menu. This will make the username/Library folder visible.